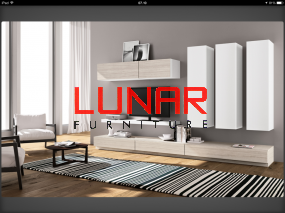 Lunarfurniture.com – Nowadays, television desk furniture is easily found in many houses since many people consider this furniture as pretty furniture to be used inside the house. Television desk can be used as the place where we can put television and as the storages of many stuffs. There are many areas inside the house which can be used as the place for the television desk, here they are. Television is closely related to the situation where family members gather together to watch the favourite program and do relax time together. Family room will be the perfect place for television desk. Television desk can be placed in the living room, especially which is in small size house. Besides of become the furniture where we can watch television, the television desk can add the aesthetic value of the living room by its pretty appearance. Nowadays, it is common to see television inside the bed room as the entertainment media during the rest time. We can put television inside the bed room. If you are already think about the television desk which can be used in your house, Lunar Furniture provides LV-20 television desk which is very beautiful. For further information, please contact www.lunarfurniture.com or 021-54376 555/333.